Extensive tests carried out by DEKRA in Germany have shown Michelin summer car tyres to last an average 4,977 miles longer than the average for a group of leading competitor tyres. The data was collected over a two year period in trials involving Michelin Energy Saver +, CrossClimate, Latitude Sport 3, Pilot Sport 4 and Primacy 3 tyres versus comparable tyres from Bridgestone, Continental, Dunlop, Goodyear, Hankook, Nokian, Pirelli and Vredestein. The DEKRA results demonstrated that a set of Michelin tyres travelled an average of 4,977 miles further before needing to be replaced. Michelin invests more than €700m in research and development every year, which enables it to design new generations of tyres offering the optimum blend of longevity, fuel-efficiency, safety, road handling and comfort – an essential combination of factors known as ‘Michelin Total Performance’. 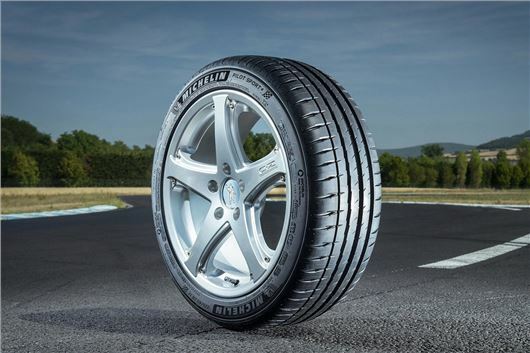 The DEKRA testing was notable for including Michelin’s multi-award winning CrossClimate tyres – the world’s first summer tyre with winter capabilities. The Michelin CrossClimate tyre range has been named Fleet News Best New Product 2016, as well as winning the prestigious Innovation Award at the Van Fleet World Honours 2016. Michelin Cross Climates on HJ's Honda HR-V are still showing 6mm at the front and 7mm at the rear after 7,000 miles and are now the tyre of choice for British Gas to cope with all weathers and conditions its vehicles are subject to. The tests were conducted by DEKRA TEST CENTRE at the request of Michelin, in 2014 or 2015 depending on the ranges, gap between average miles for Michelin ranges (Michelin Energy Saver +, Michelin Pilot Sport 4, Michelin Primacy 3, Michelin Pilot Super Sport, Michelin CrossClimate, Michelin Latitude Sport 3) and average miles for competitors' tyres: Bridgestone (Ecopia EP150, Potenza S001, Turanza T001, Dueler H/P Sport), Continental (ContiEcoContact 5, ContiSportContact 5, ContiPremiumContact 5, ContiSportContact 5P AO, ContiSportContact 5 SUV), Dunlop (Sport BluResponse, Sport Maxx RT, SP QuattroMaxx), Goodyear (EfficientGrip Performance, Eagle F1 Asymmetric 2, Vector 4Seasons Gen-2, Eagle F1 Asymmetric SUV), Pirelli (Cinturato P1 Verde Ecoimpact, P Zero, Cinturato P7 Ecoimpact, P Zero Silver, Cinturato All Season, P Zero Rosso), Hankook (Kinergy 4S, Ventus S1 Evo2 SUV), Vredestein (Quatrac 5), Nokian (Weatherproof), rounded to the nearest 100 miles. Actual calculated average = 4,977 miles.